BlogHome » Blog » So, graduation! Translator? And, then what? Olga Arakelyan’s Story! My translating career actually started long before graduation! In fact, I was a high school student then. I studied in a special school where English was just as important as Russian or Maths, or any other core subjects. And during the last two years in high school we even had a subject called “technical translation”. Funny though, we mainly translated poems and songs there, so the classes weren’t really centered on technical translation. At the end of the 10th grade, we had a special translation practice. At that time some new (imported) equipment was granted to Vladimir children’s hospital, so the doctors asked our school to translate the user manuals. We worked on those translations and our teacher invited a pediatrician to help us with the medical terms that we came across. That was back in 1993, so we didn’t use Internet, only paper dictionaries and the knowledge of the pediatrician. Then our teacher edited the translations and handed them over to the hospital. That was the first real translating experience in my life! I really liked it, but translation wasn’t my goal then. I wanted to be a teacher. So I went to the Vladimir Teachers’ training university and chose English as a major and German as a minor. At the same time, I started working part-time in the Wesleyan Church as an interpreter. First I interpreted in day camps, then started interpreting and translating in the Bible College. I loved that. During the last year in the university, my teachers suggested that I should continue education and study for a Master’s degree, but to me that sounded too far away from real life. I wanted to help people, to do something practical to make their life easier, and studying stylistics (that would be my field of studies) didn’t sound like something that could help them much. Besides, that was the year when my father died and I had to support my mother and me. So I refused to go to grad school, enrolled in the Wesleyan Bible College and continued interpreting and translating there. I was a second-year student when I organized an English language club for children and adults. There were several groups of students with the youngest of them being 7 and the oldest being 60 years old. The classes weren’t completely free, but I charged a very small amount of money which was enough for buying some small things for the club, plus we got some financial support from the Church. All teachers were volunteers. The goal of the club was to help underprivileged people gain some additional skills to help them in their future career and personal development. The club successfully operated for 3 years until my daughter was born. Unfortunately, there was nobody else who could coordinate the work of the club at that time and I had to close it. I still see some of my students, we are good friends now. I think my best students were a group of 50-60 year old ladies. They wanted to conquer their language barrier, and they actually did it! I can’t really say that they are fluent in English now, but they are not afraid to speak and make mistakes, and they understand quite a lot. After graduating from the Bible College I stayed as a translator in the Church. I also taught Russian as a second language to the missionaries. That was an interesting experience. I was happy there but I started to sense that something had to be changed. I didn’t quite understand what it was and how it was supposed to happen, but the birth of my daughter helped me to see things in a different perspective. I saw that people in the office spent way too much of their time for just chit-chat, and I realized that I was only working in one or two fields and I couldn’t grow in my language skills there. So after Delia was born I talked to the pastor and was given a permission to work mainly from home. Soon I met a Russian lady who worked as a freelance translator. I loved the idea of widening my scope of topics, working from home and making extra money. Delia had some health issues then, so some extra money was more than needed! That lady was the one who told me about proz.com, shared links to some very good online dictionaries and even gave me my first translation assignments! I started applying to all kinds of translation agencies but nobody liked my work. It was only then that I realized that I didn’t know how to make real quality translations. I used to mainly work as an interpreter, plus I worked in a pretty narrow field. So I plunged into more studies. I subscribed to translation blogs, carefully studied the translation samples of other colleagues, bookmarked all possible resources, translated a lot of texts on different topics, started refreshing Russian grammar (I noticed that I was copying English syntax when translating into Russian. So I had to get rid of that mistake by all means!) The first year was very tough. But then I met the first agency that actually started giving me work. I am still cooperating with them, by the way. And then I gradually started getting more and more work. In 2008, I became a full-time freelancer and a registered individual entrepreneur. What did I learn from my loooong journey? First of all, freelancing is hard work. In most cases, it’s harder than working for somebody else. I always need to make sure my translations comply with the highest quality standards, because if they don’t I won’t have any work pretty soon! I also learned that I have to be my own marketing specialist and my own accountant. But I have experienced the happiness and the feeling of fulfillment that comes from knowing that people actually need my background, my knowledge and my skills! And my goal is still the same – I want to be useful to people. Hopefully, I am! 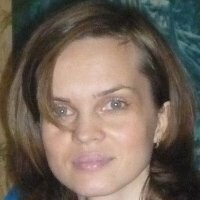 Olga Arakelyan is a professional freelance translator and a certified ESL teacher. She translates from English and German into Russian and specializes mainly in marketing, music, real estate, tourism, and education. She is also working on some exciting marketing and business training materials for translators at sharp-end-training.ru. You can find her on Twitter @Olenkaarakelyan, visit her English blog or, if you prefer reading in Russian, she’d be happy to see you in her Russian blog.